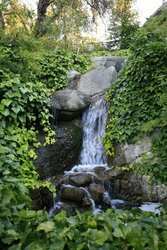 Explore the stunning grounds and features of our hotel near Yosemite National Park’s southern entrance. 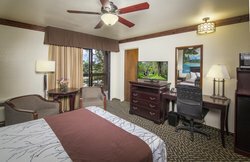 We combine all the added perks of a hotel resort with Best Western’s renowned hospitality and Rewards Program and the natural beauty of our location. 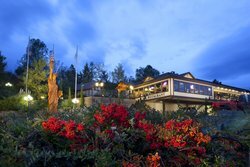 Tucked into the hillside with buildings and style that match our location, our hotel has to be seen to be understood! 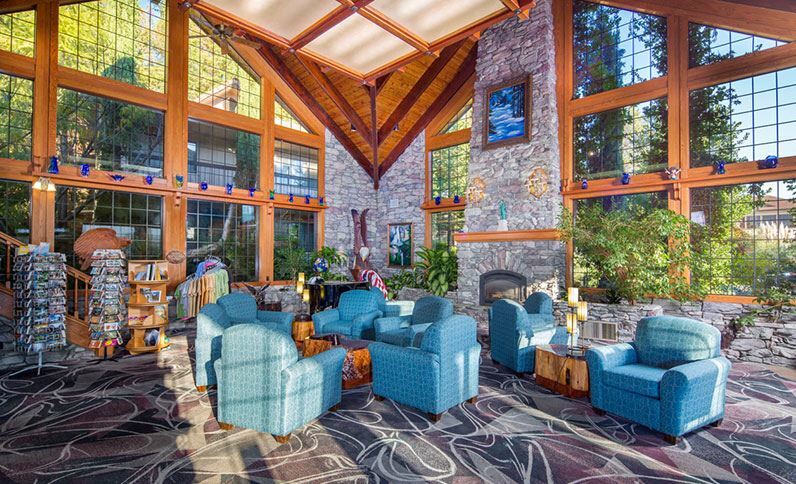 Our hotel’s rustic charm starts with our log cabin style lobby, warmed by a stone fireplace and decorated in classic Americana style, and continues to our restaurant, rooms, and more. 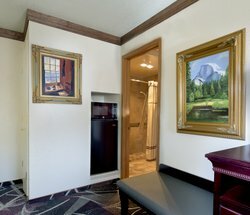 Expect something unique here, each room features original art, and the grounds are decorated by wooden statues, perfect for photo ops! 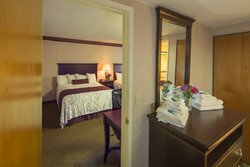 Book with us to receive the best rate on our spacious lodging. 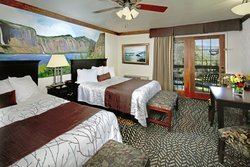 We have a range of rooms, from light-filled balcony rooms for intimate getaways, to larger capacity rooms designed for groups. 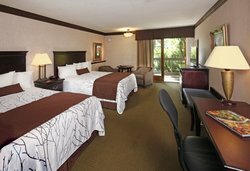 Enjoy comfort and forest tranquility, with pristine in-room amenities and furnishings. 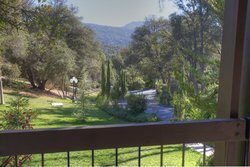 Enjoy your virtual tour of our property and book today! 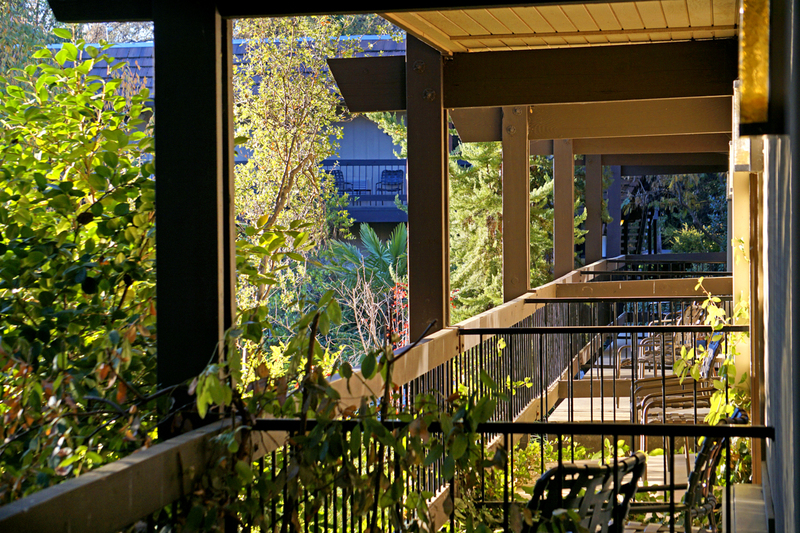 Take a tour of our stunning grounds, spacious suites, and comprehensive amenities. 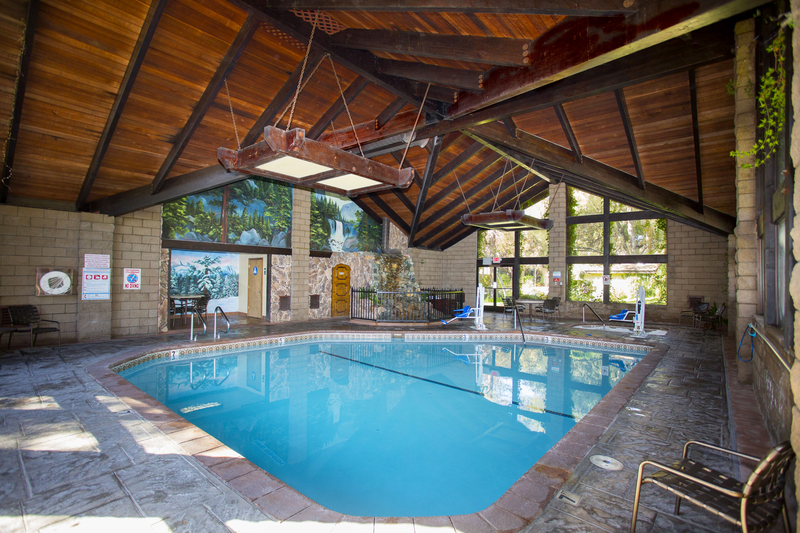 Plan your Yosemite getaway around a resort-style hotel stay, just 15 miles south of the park’s entrance. 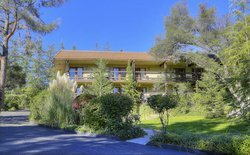 Our hotel on the main road in Oakhurst, CA is right on your way to Yosemite, tucked away from the main road, built into the hillside. 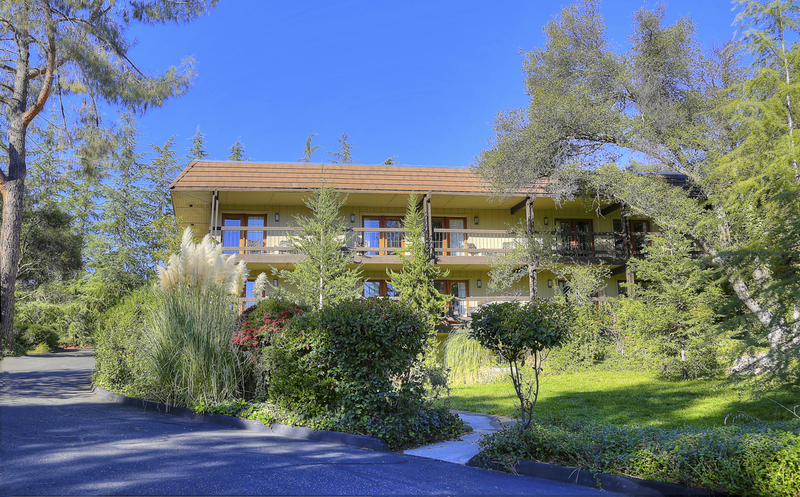 Our hotel is spread out over 7 acres of soaring oaks, native plants, and wild Sierra Nevada beauty. 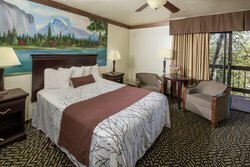 Reconnect with nature at Best Western Plus Yosemite Gateway Inn. 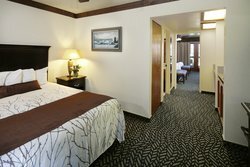 Our hotel is laid out over several buildings, providing a little more peace and quiet on your vacation. 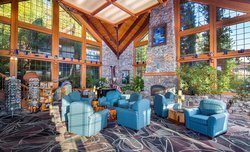 It also means that fresh mountain air is always just a few steps away, and sweeping views await your walk to the main building. 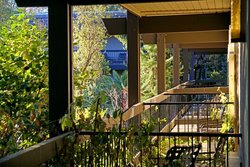 Book one of our lodgings with a balcony to put our area’s famous natural beauty just steps away from a peaceful night’s rest. 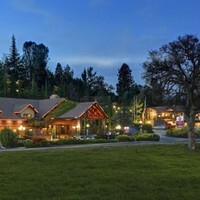 Our hotel’s location needs no introduction: Yosemite National Park’s entrance is just a few miles away. Designated a World Heritage site, and recognized for its mammoth cliff faces, groves of giant sequoias, glaciers, mountains, and miles of wilderness, Yosemite’s changing landscape has to be seen to be believed. 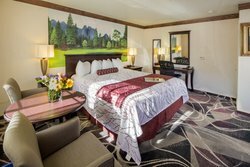 Enjoy the modern amenities and conveniences of our hotel, and easily head into Yosemite. 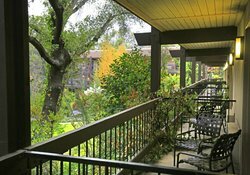 Rise and shine in our bright and light-filled hotel rooms in Oakhurst, California and step out onto a private balcony or patio to enjoy the view. 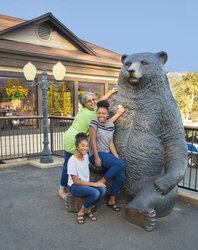 If you’re on a trip with the whole family, we know that that can include your four-legged family members too! We are a pet-friendly hotel. 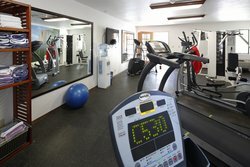 For guests with allergies, we have an entire building which is pet-free. From your room, it’s a quick walk through our scenic property to sit down for a meal at our restaurant, or visit our stunning indoor pool. 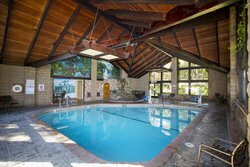 One of the top reasons to stay in our Oakhurst lodgings is our amazing amenities, including our pool, event spaces, and small-town charm just outside Yosemite. 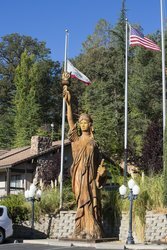 Our lodgings in Oakhurst, California are a reflection of our location, just miles from Yosemite National Park. 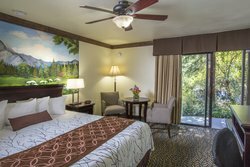 Admire mountain views out the window and the original paintings of Sierra scenery on your room’s walls. Our rooms are tucked into the rocky hillside, away from the road which will take you directly into the park. 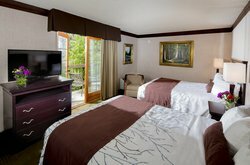 Enjoy all the convenience of a well-appointed hotel room, whether you’re on your way to camp inside the park, or using our hotel’s ideal location as a home base for your Yosemite adventure. 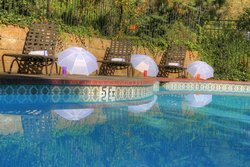 Enjoy relaxing beside our sunsoaked outdoor pool with stunning decor. Make your own waffles with all the toppings, create a delicious breakfast burrito, or just enjoy a quick continental-style breakfast of cereal and pastries. Enjoy a meal with a view! 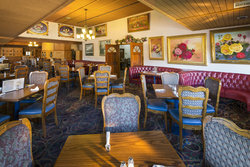 Oakhurst Grill & Whiskey 41 Lounge, our Yosemite Gateway restaurant offers stunning views overlooking the rolling mountains and our hotel’s unique statue decorations. You may not be able to focus on the view, however, with all of the delicious food in front of you. Our menu features substantial salads, homemade pastas, sizzling steaks, and a variety of chicken, pork, and seafood options that will please any meat-lover! Satiating food and drinks await you all day at Oakhurst Grill & Whiskey 41 Lounge! Cap off the day with dinner and drinks at the restaurant and lounge. Beloved by visitors and locals alike, our restaurant doesn’t just serve mouth-watering classic dishes to visitors, we are also a local event space. We host stand-up comedy, live music, entertainment, and weekly specials. 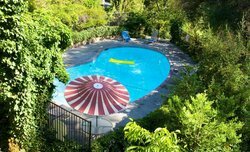 Enjoy all this fun and entertainment with a drink in hand. 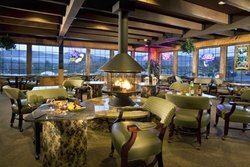 Oakhurst Grill & Whiskey 41 Lounge features a fully-stocked bar. Select from international wines, local beer, and top-shelf liquor. In addition to hosting events, we can help you organize yours! 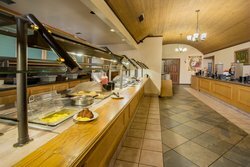 Our Yosemite Gateway restaurant in Oakhurst offers fully customizable catering options, working with our in-house team to make a menu that works with your schedule. 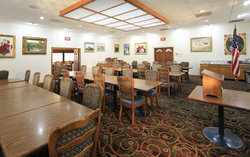 Check out our event spaces for room details. Find tranquility at every turn. 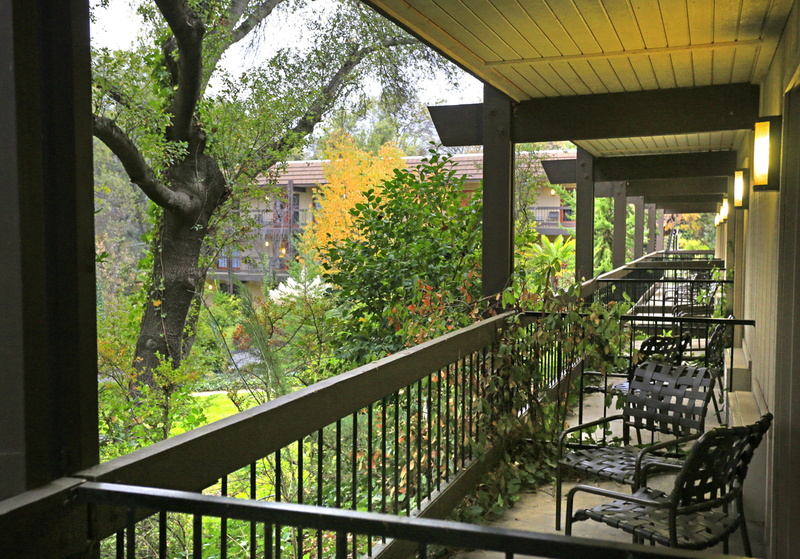 Our property is filled with beautiful views, rolling hills, and lush greenery.